Innkeepers Chris & Amy Vincent welcome you to their Antietam bed and breakfast which offers historic lodging at the Civil War battlefield. The Inn is renowned for it’s warm hospitality, comfortable accommodations and superb attention to detail. Five lovingly restored guest rooms are within walking distance of a restaurant, an ice cream parlor, a bakery, and of course the Antietam Battlefield. Just a short drive from the Inn are several wineries, a distillery, and a microbrewery, all of which offer a diverse tasting experience sure to please any palate. Shopping opportunities abound in the surrounding area, from antique and vintage stores to the Prime Outlet Mall, you will be sure to find something special. Within minutes of the Inn guests can visit four national parks; Antietam Battlefield, the C&O Canal, the Appalachian Trail, and Harpers Ferry, as well as South Mountain State Park. Bicycles are available for guests to explore the parks and scenic countryside. The Sharpsburg area includes many outstanding restaurants. From a casual meal to a fine dining experience, there is something here for everyone. Just across the river is Shepherdstown, West Virginia, home of Shepherd University, where you will find a great place to enjoy live music, festivals and other cultural events throughout the year. Within an hour’s drive, scenic country roads lead you to Gettysburg, Berkeley Springs, Skyline Drive and the Shenandoah National Park. 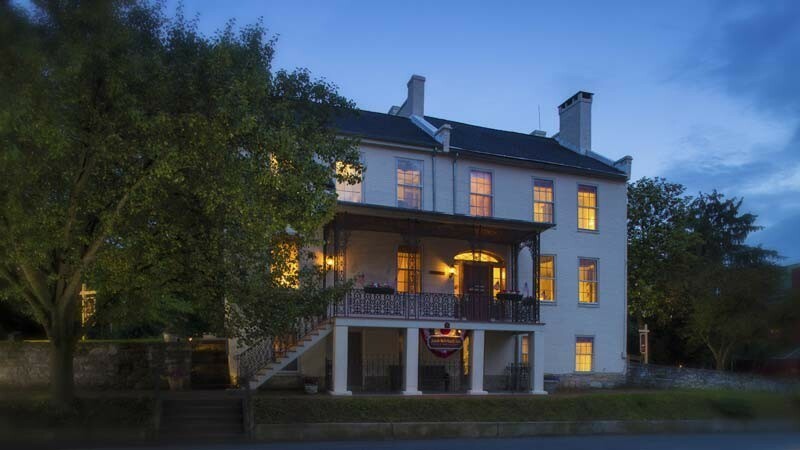 Just 90 minutes from Baltimore, Annapolis and Washington DC, the Inn is the perfect destination for a weekend excursion or an extended vacation. Make the Jacob Rohrbach Inn your home away from home as you wander through the countryside and explore the Mid-Atlantic, knowing that at the end of the day you will be returning to a relaxed and welcoming retreat.